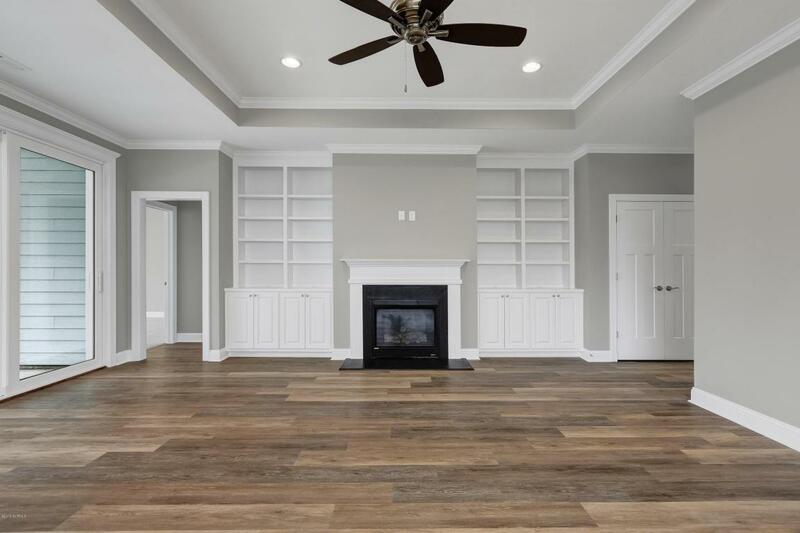 The Greenbriar, a southern cottage home welcomes you with beautiful luxury vinyl plank flooring wainscoting, trey ceilings, crown molding, gas FP flanked with Built-ins, & telescoping full view glass doors to the screened porch, patio, & fenced yard. 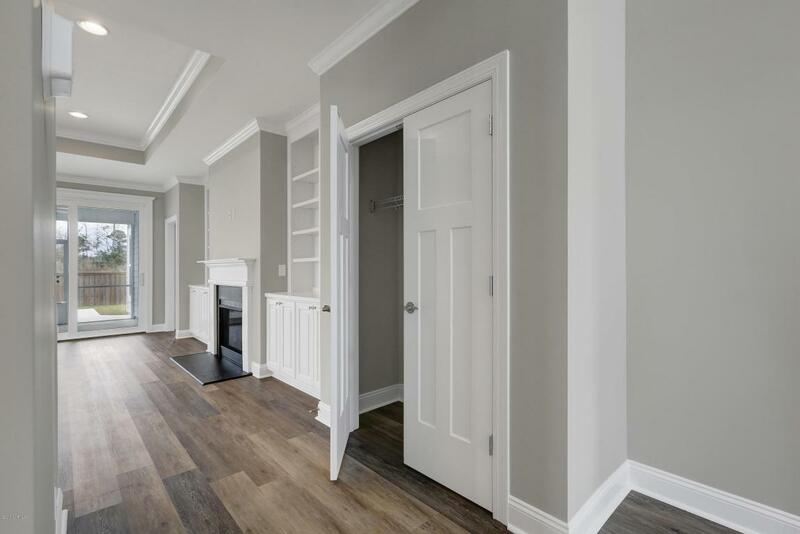 The kitchen is delightful with SS appl's, center island, quartz countertops, soft close drawers, pull out shelves, tile backsplash, huge pantry, & is plumbed for gas line for stove. The tranquil 1st floor master suite features large tiled shower with ceiling rain & hand held shower heads,frameless glass door, dual vanity with granite top, WIC, wall closet, & linen closet. 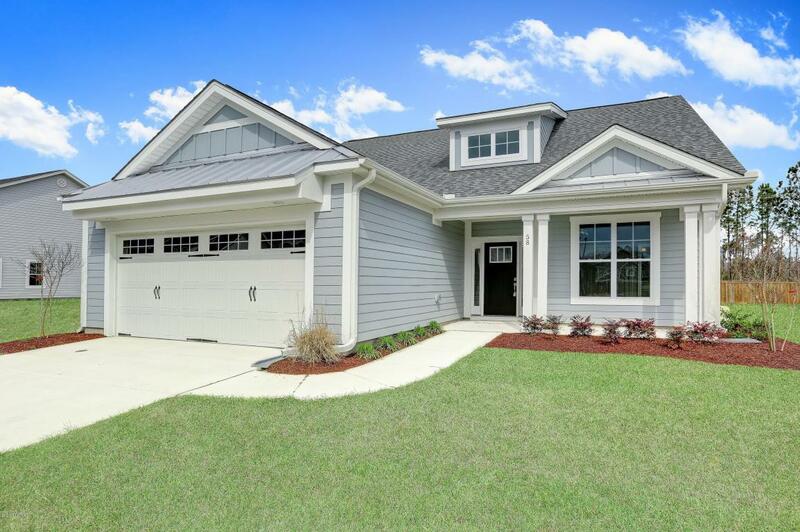 Plus Laundry with cabinets & bench/cubbies, granite tops in all Baths, sodded yards & irrigation, painted cement lap siding. 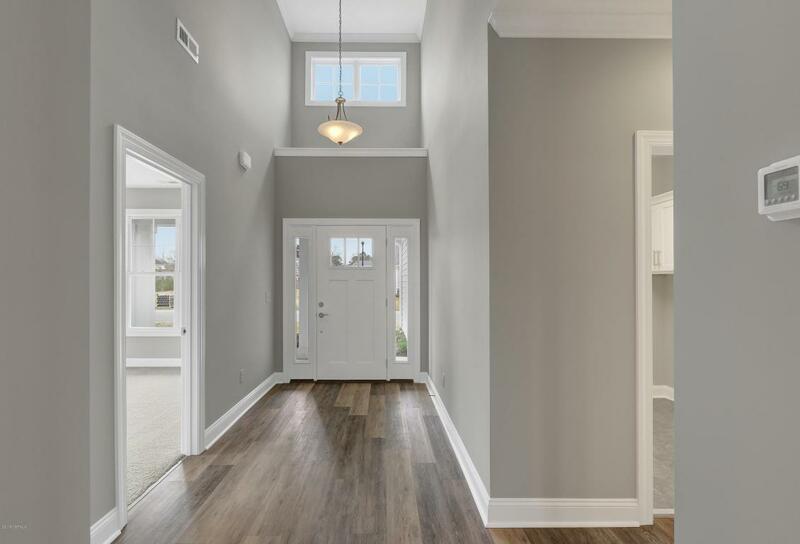 Builder & Preferred Lender Incentives Offered.Home is new construction, dimensions & heated sqft are according to blueprint supplied by builder, & are subject to change. Builder reserves the right to make changes during construction. Listing provided courtesy of Christina M Block of Coldwell Banker Sea Coast Advantage-Hampstead.